The idea was simple: The humans ears are about 20 cm apart. How will our experience of the landscape change once we enlarge that distance to be 6 meters? Would this make us hear like a giant? 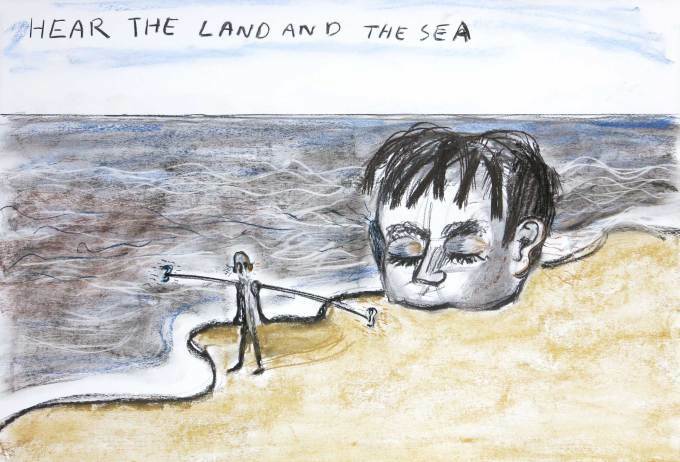 What do we hear, when we listen to the sea and the land once we construct for ourselves a virtual giants head? 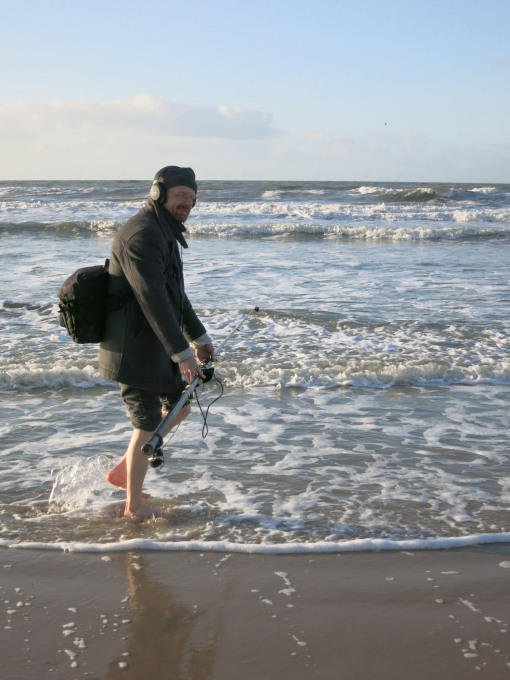 In January 2015 we made a first experiment on the beach near Egmond. This was very exciting: it sounded like our left ear drifted on the waves, while our right ear listened in on some children playing. We invited a few curious passers by to also wear our isolated headphones and walk along. They reacted very exited, explaining that they heard the space in a totally new way, although „not suitable for people with a overactive bladder…”.